This frog is a climbing frog, I think, with toe pads designed to grip. It is developed using several modules and has been kicking around for a year waiting for a final revision to correct various little "flaws". I am providing the first frog00 design and the one I finally decided to publish, frog04. I think the recent revision is better, but you can make your own judgment. Made from several modules to promote part reuse, the placement of features is finicky and fiddly, in my opinion. 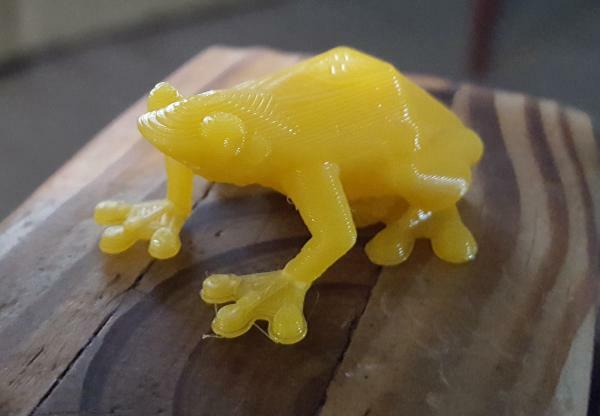 Yellow or green probably work as the best filament choices.